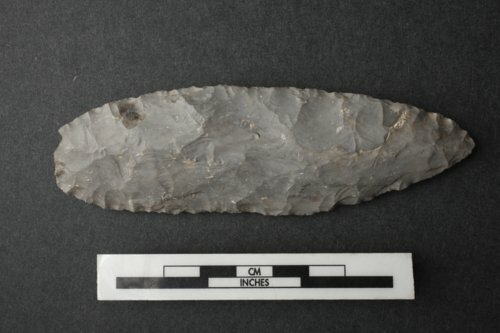 This knife was excavated in 1972 from an archeological site in Johnson County. The site dates to what archeologists call the Early Ceramic period. The knife may have been used for other purposes such as scraping or as a perform for a future tool. It is made from Flint Hills chert.